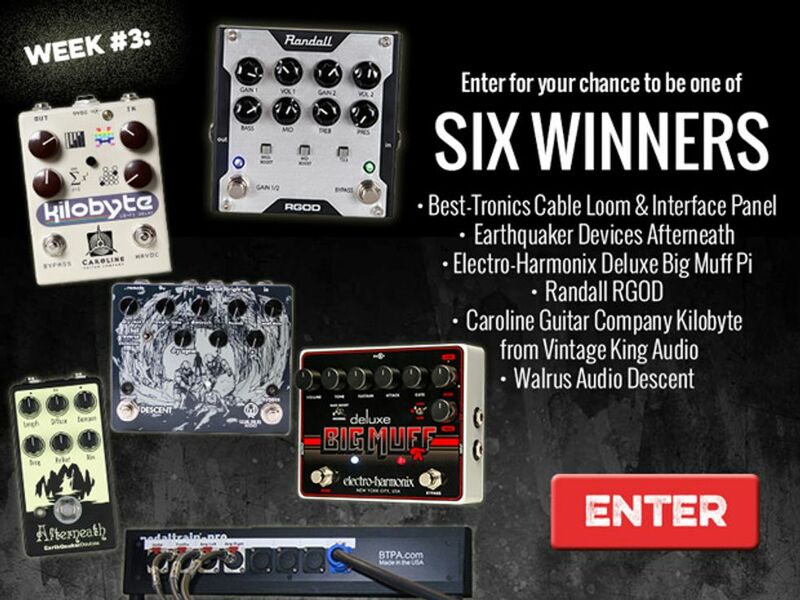 Enter for your chance to be one of 6 winners during week 3 of Pedalmania! Giveaway ends September 22, 2014. Entries will be accepted from anywhere in the world where permitted by law. One winner will be drawn. The winner will need to contact Best-Tronics and let them know what they want in it. It is custom built their specification; Therefore they would let Best-Tronics know the length, types of cables, and types of connections on the panel and loom. Then we would build it based on their spec. (Includes PPS1 15vDC supply). Two Notes software included. Caroline Guitar Company and Vintage King have once again teamed up for a series of limited run guitar pedals, this time setting their sights on redesigning the Kilobyte. Throwing practicality out the window, the pedal’s designers used the PT-2399 delay chip, usually reserved for cheap karaoke machines, to deliver a layer of lo-fi sound. Pushing delay times to 500ms, this pedal has a dirty echo that can unhinge with breakneck oscillation at the push of the momentary switch. With a new sheen, exclusive to Vintage King, the Kilobyte – Vintage Komputer comes replete with nostalgia intact. The pedal’s brown knobs and khaki casing recall the earliest computers, while the knob control graphics look like something straight out of your local barcade. Packed with the same circuitry and sound as the original, this new spin on the Kilobyte is an essential pickup for anyone whose personal aesthetic leans toward Commodore 64.